The Macan, whose name is derived from the Indonesian word for tiger. Porsche is aiming to attract a new customer base with the launch of the Macan, the German manufacturer’s fifth model line, at the Los Angeles motor show. It has been conceived to appeal to both dyed-in-the-wool enthusiasts and family car buyers and will be a key part of Porsche’s plans to pass 200,000 annual sales. The initial line-up, due to arrive in the UK next April, consists of the trio of highly specified six-cylinder models. 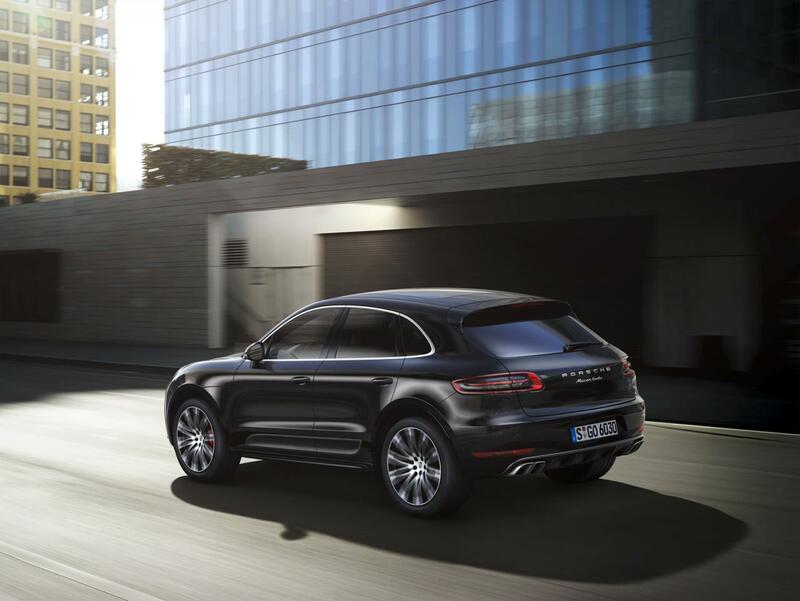 The £59,300 Macan Turbo, £43,300 Macan S and £43,300 Macan Diesel S all feature a seven-speed dual-clutch gearbox and permanent four-wheel drive as standard. 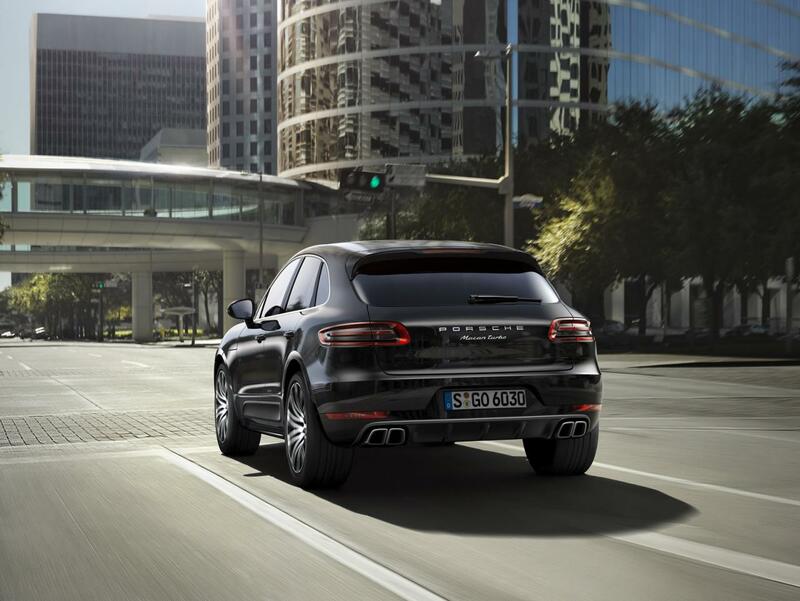 In a move crucial to its existence, the Macan is based around the same platform as the Audi Q5. The two share a similar high-strength steel floorpan, bulkheads and body structure, together with various driveline, chassis and electrical components. However, the Macan will be built in Porsche’s Leipzig factory, separately from the Q5. 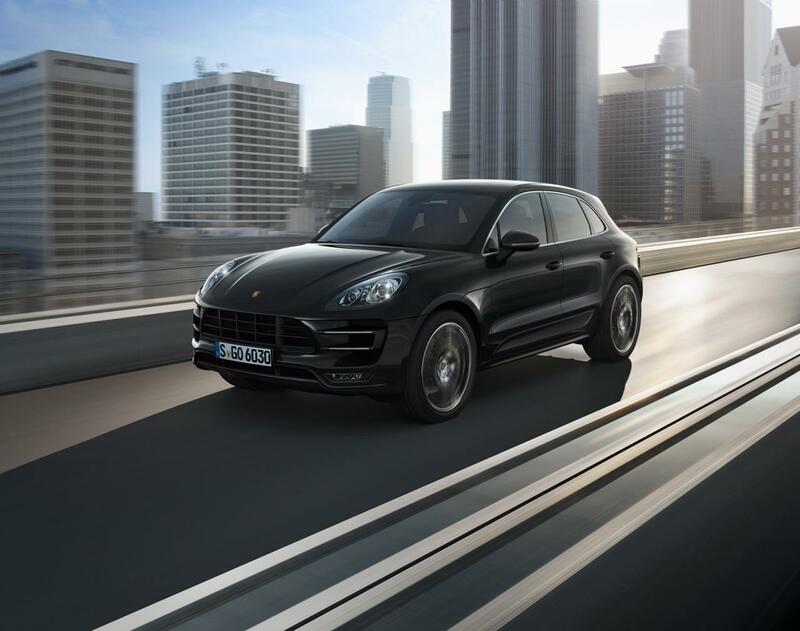 Drawing inspiration from the second-generation Cayenne, the Macan has an aggressive appearance fully reflecting its positioning as a sporting rival for the Audi Q5, BMW X3 and Range Rover Evoque. 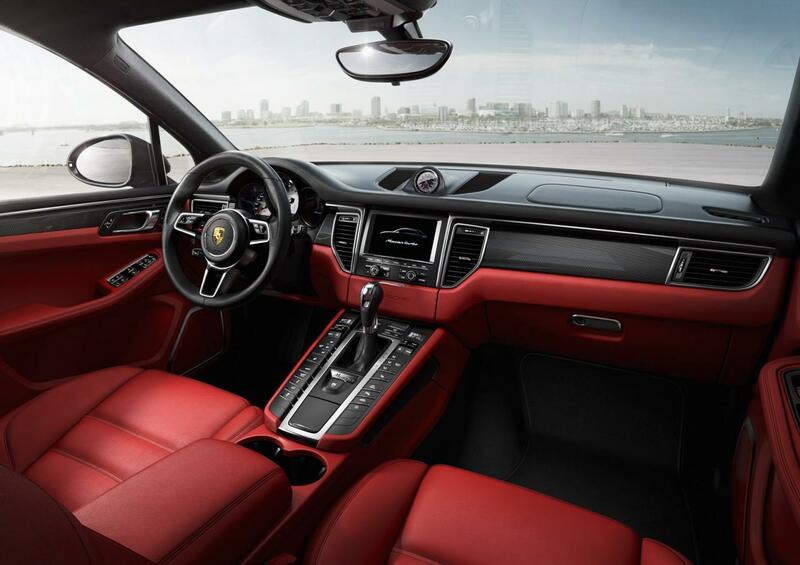 The design and detailing brings a family look to Porsche’s SUV line-up — something Porsche says was driven by feedback gained in early styling clinics for the new model. At 4699mm in length, 1923mm in width and 1624mm in height, the Macan is 146mm shorter, 16mm narrower and 82mm lower than the second-generation Cayenne, itself due to receive a mid-life facelift next year. Compared with the Q5, the Macan is 70mm longer, 24mm wider and 30mm lower. Double wishbone front and multi-link rear suspension feature with variable damping control and an electro-mechanical steering system. Air suspension is optional. The original Audi set-up has been optimised with tracks that are up by 35mm in width at the front and 36mm at the rear, along with unique suspension components and revised geometry and software to provide the Macan with what Porsche describes as “the most agile handling in its class”. A kerb weight of 1865kg for the Macan S makes it 200kg lighter than the Cayenne S, while the Macan Turbo tips the scales at 245kg less than the Cayenne Turbo, at 1925kg. The Macan, whose name is derived from the Indonesian word for tiger, will be launched in the UK with the choice of three V6 engines: two in-house direct-injection petrol units and a single Audi-sourced turbodiesel. Porsche has fitted the petrol units with an exhaust flap that is claimed to provide them with what it describes as “robust acoustic qualities”. 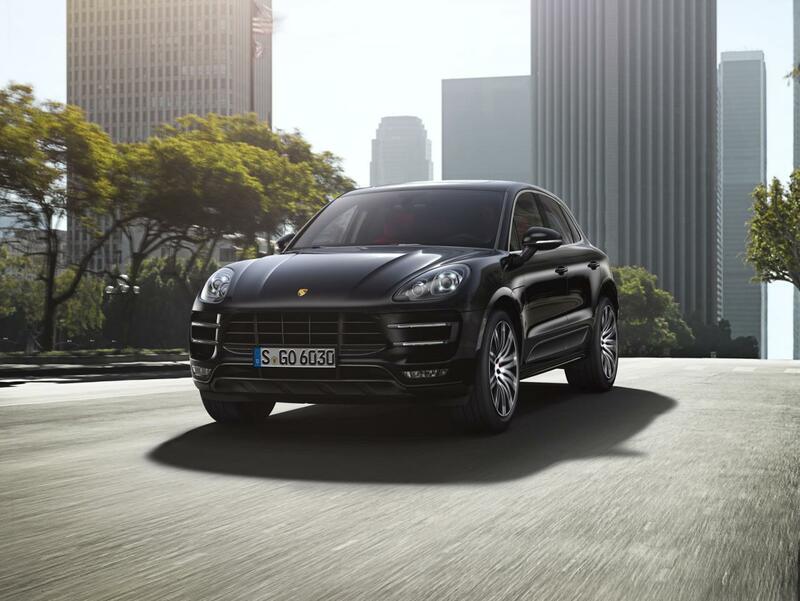 The most powerful engine is the newly developed twin-turbo 3.6-litre V6 in the Macan Turbo. It develops 394bhp at 6000rpm and 405lb ft at 1350-4500rpm to give the initial range-topper a 0-62mph time of 4.8sec (or 4.6sec with an optional Sport Chrono pack) and a 165mph top speed. Below it is the mid-range Macan S. It runs a twin-turbo 3.0-litre V6 with 335bhp at 6500rpm and 339lb ft at 1450-5000rpm. Porsche claims 0-62mph in 5.4sec (or 5.2sec with the Sport Chrono pack) and a 158mph top speed. Also available from launch is a 3.0-litre V6 turbodiesel in the Macan Diesel S. It produces 254bhp at 4250rpm and 427lb ft from 1750-2500rpm. This is sufficient for 0-62mph in 6.3sec (6.1sec with the Sport Chrono pack) and a 143mph top speed, along with a claimed 46.3mpg combined and 159g/km of CO2 emissions. Further engines are planned in 2015, including a turbocharged 2.0-litre, four-cylinder petrol unit with 280bhp in the future base Macan. Also set for introduction is a 2.0-litre, four-cylinder turbodiesel in a price-leading Macan Diesel. These will be the first four-cylinder Porsches since the 968 of 1995. In a weight saving move, the Macan eschews the mechanical Torsen torque-sensing four-wheel drive system used by the Q5 in favour of an electronically controlled multi-plate clutch arrangement engineered by Porsche for a rear-biased drive, although up to 100 per cent of drive can go to the front wheels if conditions demand it. An off-road mode also features. Nothing is official yet, but in tests the Macan Turbo is said to have lapped the Nürburgring in the low eight-minute bracket, placing it on a par with performance cars such as the outgoing BMW M3. Porsche has introduced the 2014 Macan on the eve of the Los Angeles Auto Show. It was a long and teaser-filled road but Porsche has finally revealed its baby Cayenne from which it has taken most of the design. The crossover is 4699mm long, 1923mm wide and 1624mm tall which makes it 146mm shorter, 16mm narrower and 82mm lower than its bigger brother. Compared to the Q5 on which is based upon, the Macan is 70mm longer, 24mm wider and 30mm lower. Three engines will be available upon launch, starting out with the Macan S powered by a V6 3.0-liter twin-turbo developing 340 HP (250 kW) working together with a double-clutch seven-speed automatic transmission which enables the crossover to reach 62 mph (100 km/h) in 5.4 seconds or in 5.2s when the vehicle is fitted with the optional Sport Chrono package. It can hit a top speed of 158 mph (254 km/h) and will have a fuel consumption varying between 8.7 to 9.0 liters / 100 km, with corresponding CO2 emissions between 204 and 212 g/km. Up next is the Macan S Diesel that gets a V6 3.0-liter twin-turbo rated 258 HP (190 kW) good enough for a 0-62 mph run in 6.3 seconds (6.1s with Sport Chrono) and a maximum speed of 143 mph (230 km/h). 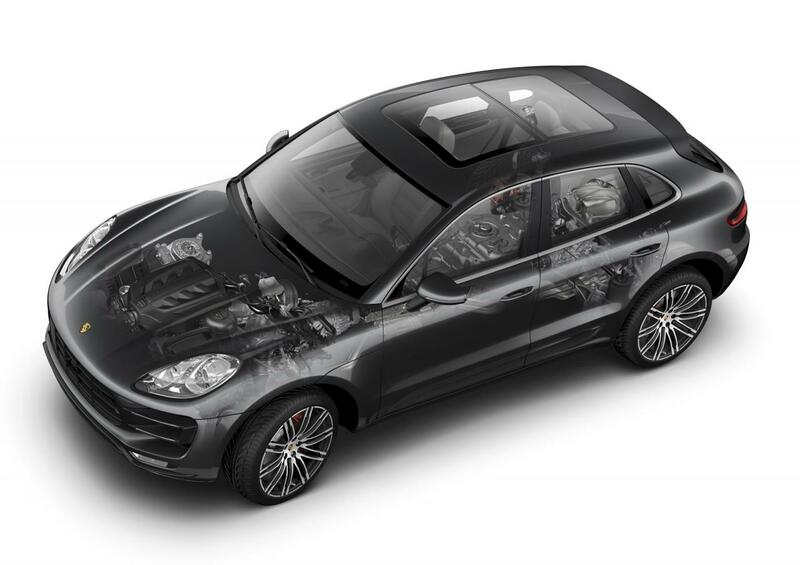 With this engine the Macan will have a fuel consumption varying between 6.1 to 6.3 liters, with CO2 emissions between 159 and 164 g/km. 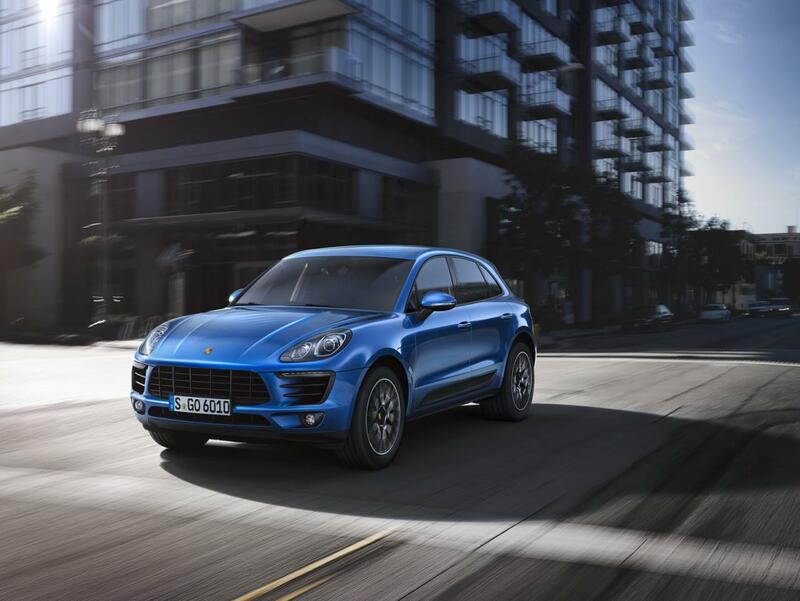 The range-topping Macan Turbo will make use of a V6 3.6-liter twin-turbo generating 400 HP (294 kW) which propels the vehicle to 62 mph in just 4.8 seconds (4.6s with Sport Chrono) on its way to a top speed of 165 mph (266 km/h). Porsche says the flagship Macan has a fuel consumption between 8.9 to 9.2 liters / 100 km and emits between 208 and 216 g/km. When I grow up and need to consolidate 'the fleet' into just one car that might just be the one. Does anyone fancy buying a 'Turbo S' next year, keeping service up-to-date and mileage sensible with a view to selling it on in 2019. If so, contact me so we can discuss colour combo, options etc before you place your order. Diesel smiesel... I spec'd a diesel and it came to 53k, then spec'd a Turbo which came to 62k. Turbo Turbo Turbo.... 0-60 in 4.6, insane..
You don't get a choice. So I have forced your induction, Mr Chimp. Hmm... So Le Mans wasn't just a rumour? Anybody else get the glossy sales pack through the post this morning? Unfortunately, the wife's seen it and "quite likes the look of one of those"